A suspect in the 31337 Hackers case was taken into custody last week on October 26th as FireEye celebrates this as a win for the "good guys". Reports are out that the FireEye hacker who allegedly started the #LeakTheAnalyst campaign was arrested last week, October 26th. It was in July this year when reports of the #LeakTheAnalyst hacking incident set the Internet abuzz. 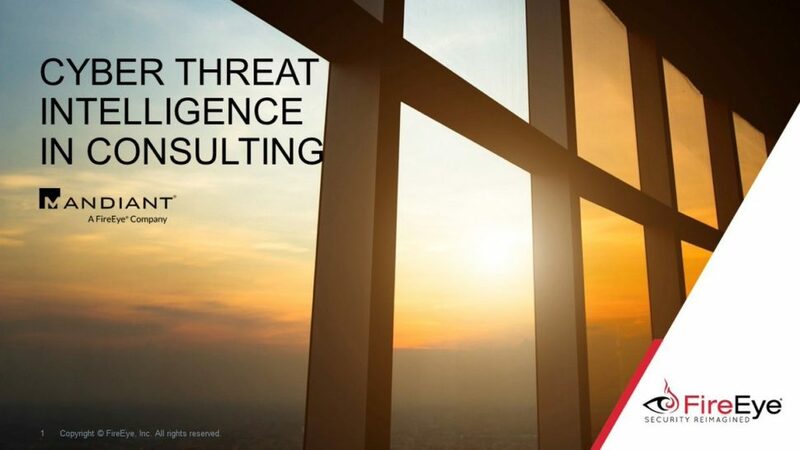 Back then, one of the senior threat intelligence analysts of the FireEye-owned security firm Mandiant, Adi Peretz, had both his personal and professional information leaked by a certain FireEye hacker. The notorious hacker, who introduced himself then as 31337 Hackers, posted cryptic messages on Pastebin alongside the download links to the alleged stolen files. The hacker claimed he enjoyed watching Mandiant tried to protect its clients and insulted the company’s analysts, calling them dumb for trying to reverse engineer malware. “Now that ‘Mandiant’ knows how deep we breached into its infrastructure its so-called threat analysts are trying to block us. Let’s see how successful they are going to be :D,” a part of the post read. Now, over three months after the said hacking incident, FireEye CEO Kevin Mandia informed the media at the company’s Q3 Earnings Results Conference Call on Wednesday that a suspect has been taken into custody by international law enforcement. It should be remembered that the FireEye hacker also claimed that he has complete access to the company’s internal networks since 2016. In defense, FireEye announced in August that they found no evidence that their corporate network has been breached or compromised. The security firm also clarified that the attacker was only able to compromise social media accounts of just one of its employees. “Over my career, I’ve found it frustrating how little risk or repercussions exist for the attackers who hide behind the anonymity of the Internet and cause real harm to good, well-intentioned people. These attackers rarely, if ever, get caught. Therefore, I’m pleased that, in this case, we were able to impose repercussions for the attacker and achieve a small victory for the good guys,” Mandia said referring to the arrest. The FireEye hacker was able to release three corporate documents identifying at least two customer names obtained from Peretz’s personal accounts. The identity of the so-called FireEye hacker and other details of the arrest were not divulged by the company nor the authorities, yet. Do you believe that the arrest of the alleged FireEye hacker would put an end to the #LeakTheAnalyst campaign? Let us know your thoughts in the comment section below! Hackers are the new rock stars! Check out this prolific hacker hackerinthegrey(@)gmail.com. Dude has mad skills. Hit him up, whatever it is that you need. Completely disabused me of all my previous notions. Prepare to have your mind blown.